Among patients with employer-sponsored insurance, there was a decline in visits to primary care physicians (PCPs) from 2012 to 2016. 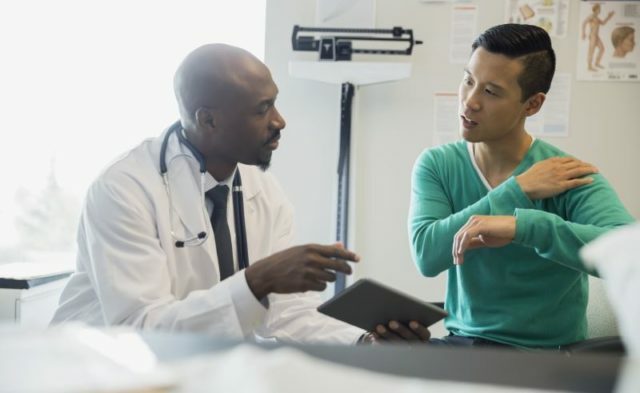 HealthDay News — Among patients with employer-sponsored insurance, there was a decline in visits to primary care physicians (PCPs) from 2012 to 2016, according to a brief released Nov. 15 by the Health Care Cost Institute (HCCI). Amanda Frost, Ph.D., and John Hargraves, M.P.P., from HCCI, used deidentified commercial health insurance claim lines from four major insurers (Aetna, Humana, Kaiser Permanente, and United Healthcare) to assess trends in primary care visits. The researchers found that office visits to PCPs declined 18 percent from 2012 to 2016. However, visits to nurse practitioners (NPs) and physician assistants (PAs) increased 129 percent. The rise in visits to NPs and PAs accounted for 42 percent of the decline in PCP visits. Between 2012 and 2016, every state saw a decline in PCP office visits, with the biggest cumulative declines seen in North Dakota, Minnesota, and Kentucky. North Dakota, Minnesota, and Nebraska saw the largest cumulative increases in office visits to NPs and PAs from 2012 to 2016. “Our work demonstrates that there is geographic variation in office visit utilization, which is likely influenced by differences in these laws [governing scope of practice], but more research is needed on those relationships,” the authors write.